The word brings on good feelings to someone who loves the light Scandinavian summer evenings. The 23rd of June is the longest day of the year. Arnfinn pesters me every year about this. He knows I don't like to hear that the "sun turns", that the summer solstice is actually here. My mind wanders to childhood memories. 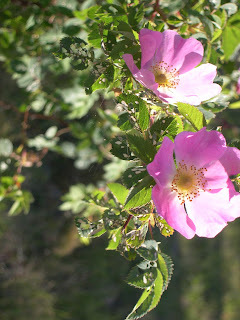 I love the light and savor the nature, the scents and sounds of the northern summer. A perfect time to just feel alive. It is so still. 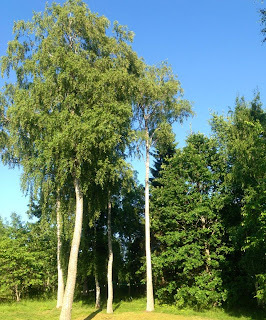 Just a breeze to make the birches rustle. But it's not quiet. The lark is crazy, as usual, the white wagtail, the willow warbler, and the blackbird forage food for their young ones. The snake buzzard looks over the field. 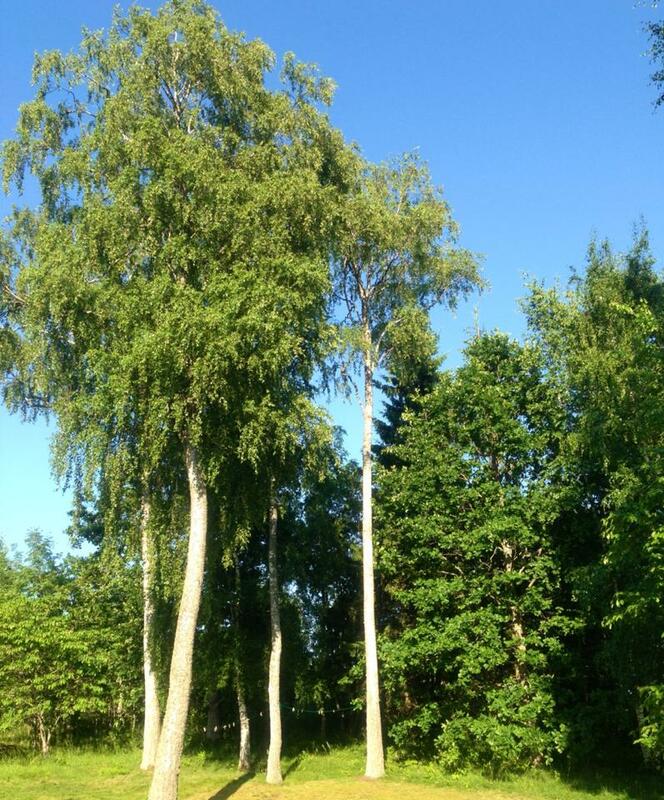 The cat has been chased up to the top of the birch. I am doing nothing. Just am. And this pre-Christian celebration is culture and tradition. It centers around the astronomical summer solstice, and although it originally started as a pagan holiday, Christians associate the day with the nativity of John the Baptist. In Sweden midsummer festivities will include pretty girls with flower wreaths in their hair and people dancing and singing around a Maypole. In Norway the day is called St. Hans. Bonfires are lit along coastal areas. Families come out, play games, and grill hot dogs on sticks over the rustling flames. Words from an old folk tune remind us that we should not sleep away the summer night. Lovely to stay up all night enjoying the light and warm summer. Not so nice the next day. Photos from Swedish midsummer. 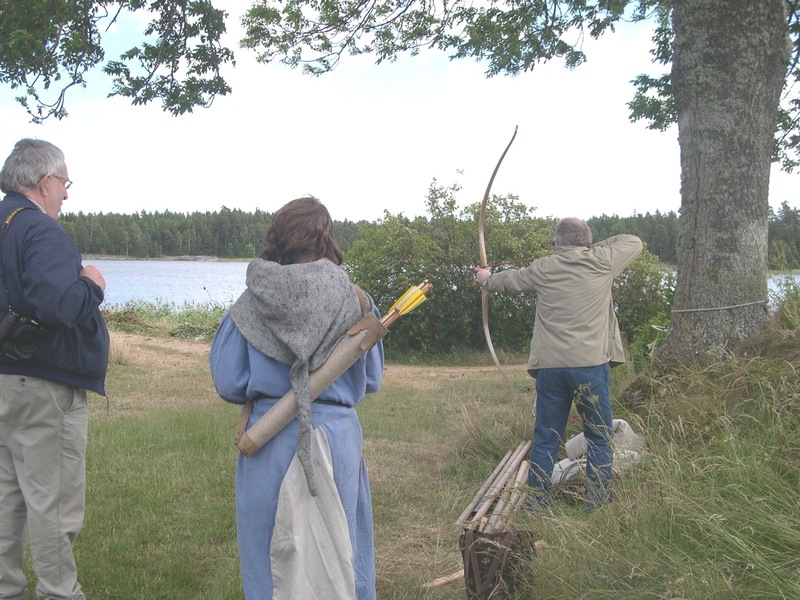 A beautiful forest hibiscus, Karin's birch trees, and Arnfinn trying his luck at archery at midsummer medieval festival at Läckö, Sweden.